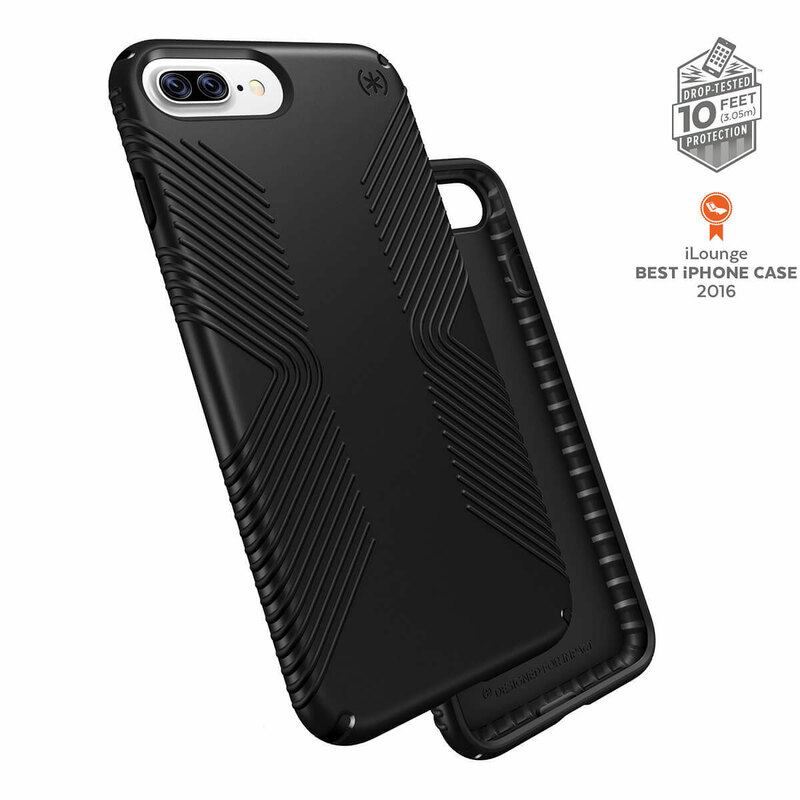 The Speck Presidio™ GRIP is a line of premium grip iPhone 7 Plus case with an ultra-slim design and superior impact protection. 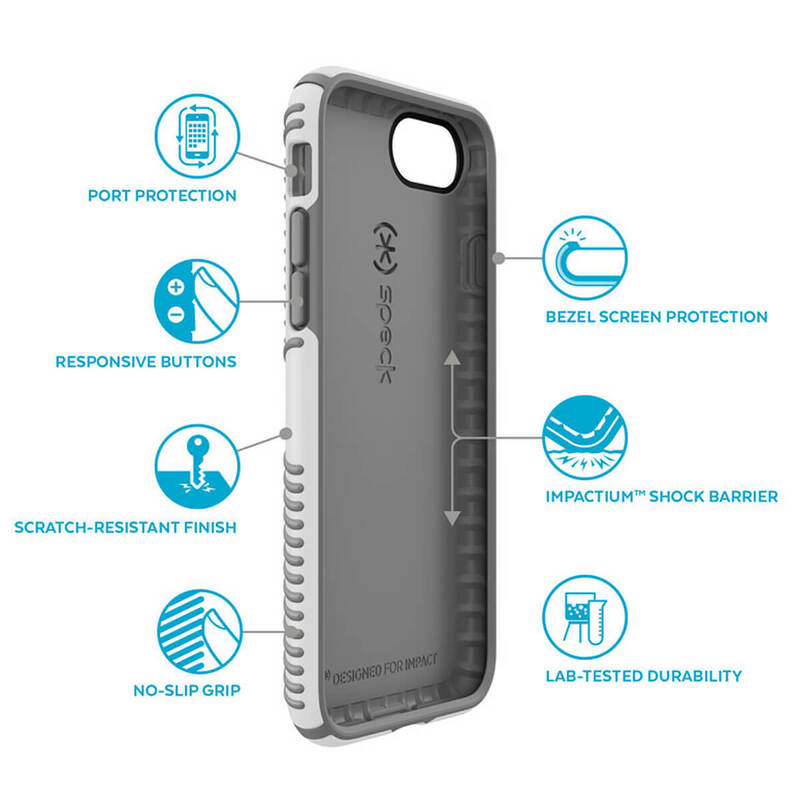 Presidio GRIP features the IMPACTIUM™ Shock Barrier, Speck’s innovative new shock-suppression technology that protects your device without adding unnecessary bulk. Whether you're looking for a trendy gift for him, a geeky Father's Day present or a birthday present for your special gadget lover, this designer phone case will exceed all his expectations. - 10-Foot Drop Tested. To ensure that Presidio™ GRIP offers the ultimate protection for your iPhone 7 Plus, it has been dropped from a height of 10 feet multiple times by third-party laboratories. 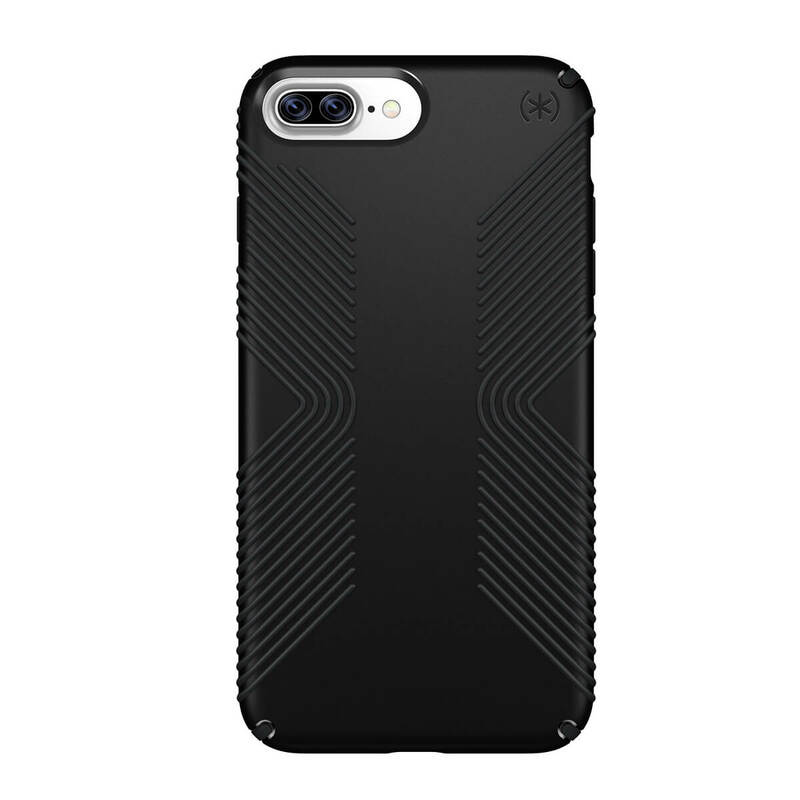 - Slimmest and most protective case yet. 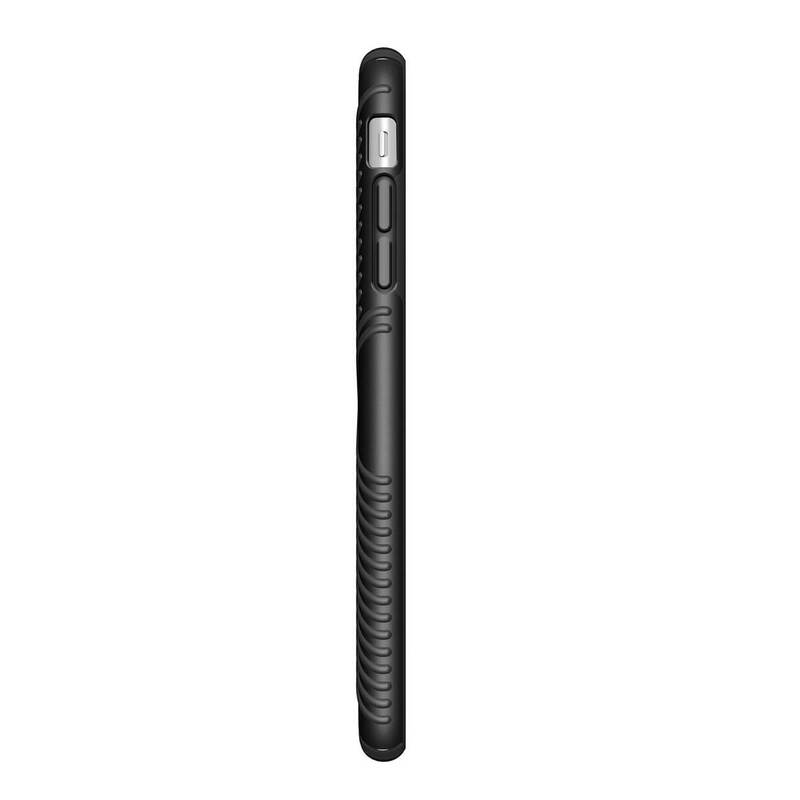 We’ve optimised the design to create the slimmest dual-layer case Speck has ever made, while improving protection. - Precision-engineered fit. 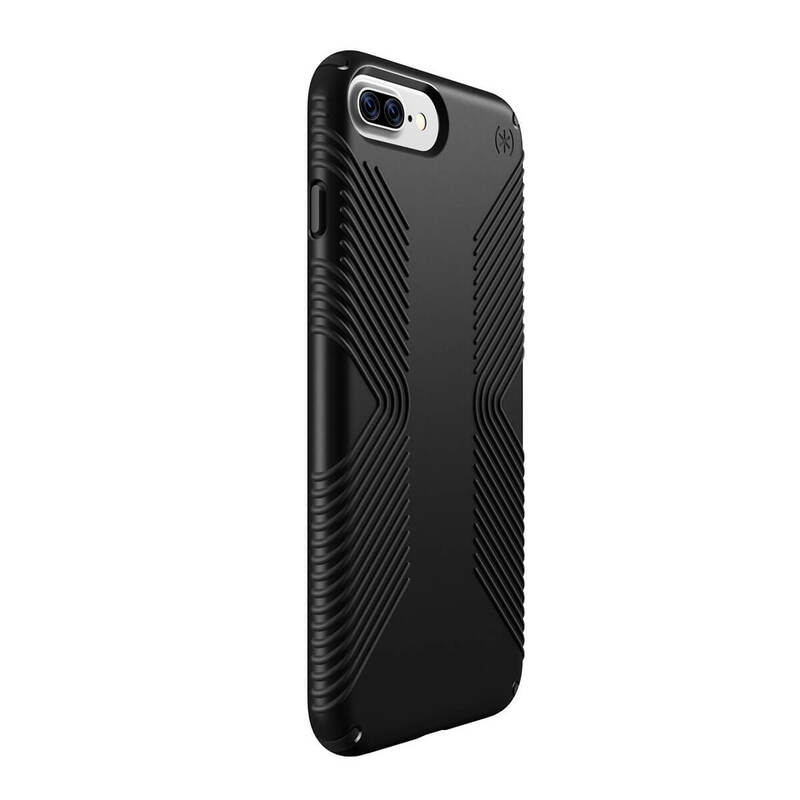 Presidio GRIP is precision-engineered to fit your iPhone 7 Plus perfectly. - Improved scratch resistance. New matte finish resists scratches and offers a modern style with a range of elegant and vibrant colours.